Rotary Vane Oil Vacuum Pumps There are 3 products. 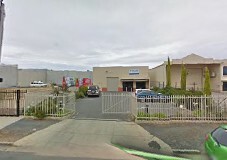 Australia’s Only Manufacturer of Lab Vacuum Pumps. 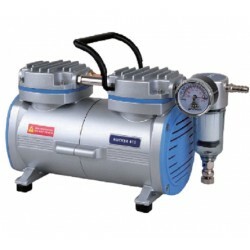 Product Range: Oil Rotary Vane Vacuum Pumps. Oil Free Rotary Vane & Piston Pumps. Oil Free Diaphragm Pumps. Liquid & Dosing Pumps. Vacuum Systems. 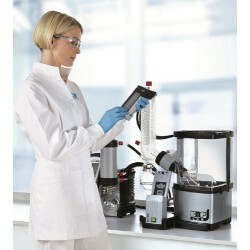 Benchtop Vacuum Stations. Freeze Dryers. Adelab distributes "Rocker" competitively priced, Oil Free Vacuum Pumps, Chemical Resistant Vacuum Pumps, Rotary Vane Vacuum Pumps, Oil Free Compressors, Air Supply Systems, Filtration Apparatus, Vacuum Filtration Systems and Vacuum Manifolds. Download brochure below for more details. NEW! Discover the evolution of two-stage rotary vane vacuum pumps. Built to last. Born to perform. 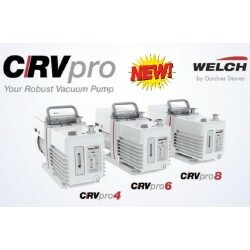 And designed to simplify your work.Meet the robust vacuum pump series – CRVpro.